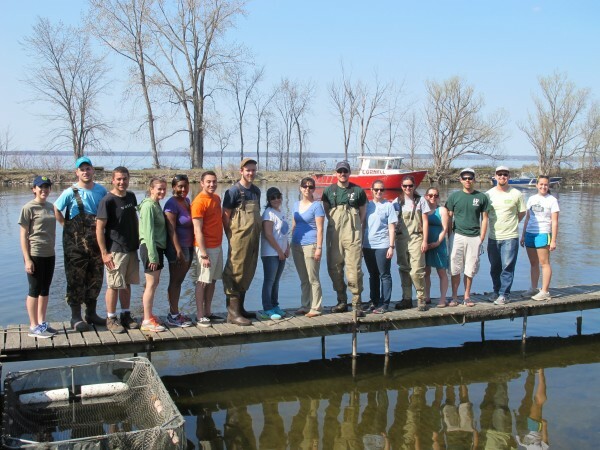 On May 2 & 3, over 20 teachers, educators and students gathered at the Cornell Biological Field Station on Oneida Lake in Central NY for a joint workshop on Youth Aquatic Resource Education (YARE). 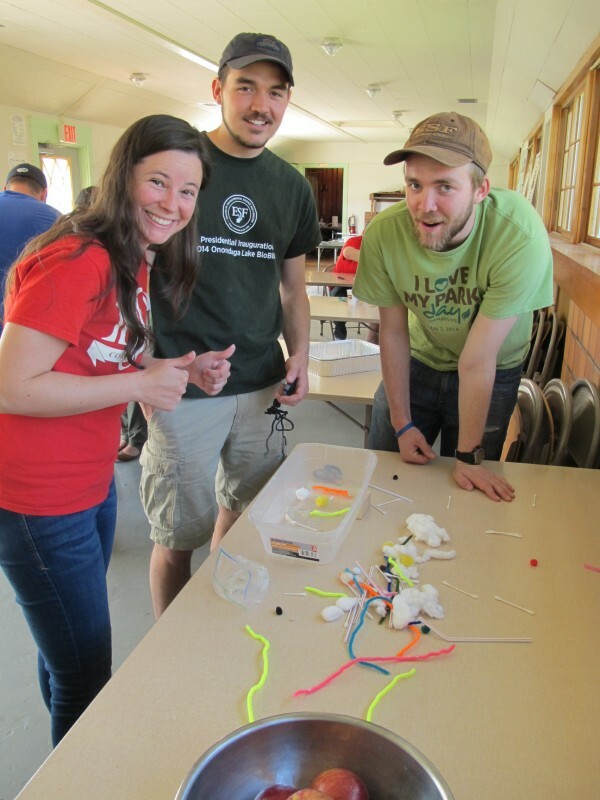 The workshop featured hands-on instruction and training for teaching youth about water quality monitoring, aquatic ecology and fishing. 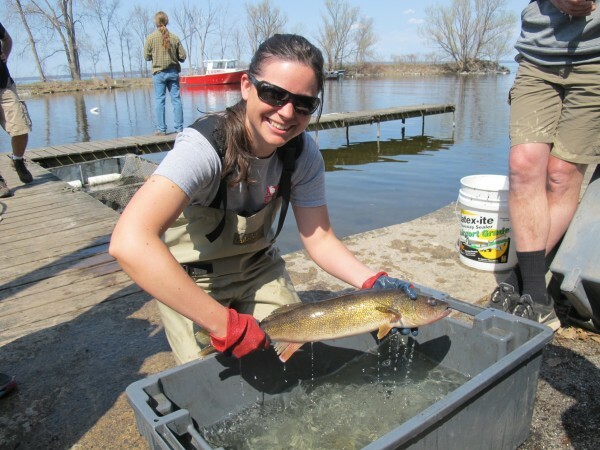 These educational topics are fostered within the shared missions of the workshop's sponsoring organizations - the Izaak Walton League of America (IWLA), Project Watershed and the NY Chapter of the American Fisheries Society (NY AFS). On Day 1, IWLA Clean Waters Fellow Erin Johnson led a fun filled day of Creek Freaks training that included an interactive introduction to the many classroom lessons the program offers and in-field experiences at nearby Chittenango Creek for water chemistry, physical habitat measurements and aquatic macroinvertebrate sampling. 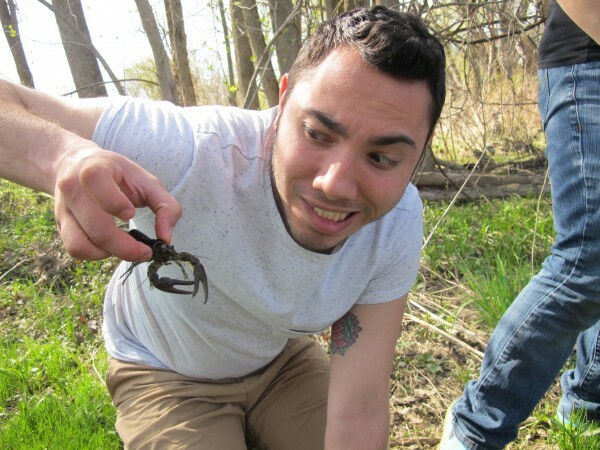 Workshop participants were not disappointed, as they discovered all sorts of interesting organisms, including mayflies, stoneflies, water penny beetles, invasive rusty crayfish and newly developing walleye eggs with live embryos inside! The day concluded with an old fashioned, battered fish fry provided by the CNY Chapter of IWLA. On Day 2, the YARE activities were led by the workshop's organizing committee which included CNY Chapter of IWLA member Tom Hughes, along with Erik Hazelton, Ian Kenney, Ellen George and Tom Daniel, who are all student members of the NY Chapter AFS from SUNY College of Environmental Science and Forestry and Cornell University. Similar to the first day, instruction included a morning classroom training on why and how to implement youth aquatic resource education programs followed by an in-field training that included fish ecology & identification, an introduction to the basics of sport fishing, and hands-on opportunities to learn the professional techniques for fish sampling, including trap netting, beach seining and backpack electrofishing. Again, workshop participants were super excited, as they enjoyed the unique opportunity to see and touch so many of the fascinating fishes that swim in CNY's waters, including smallmouth & largemouth bass, pickerel, walleye, white perch, crappie, freshwater drum, bowfin, burbot and many more! 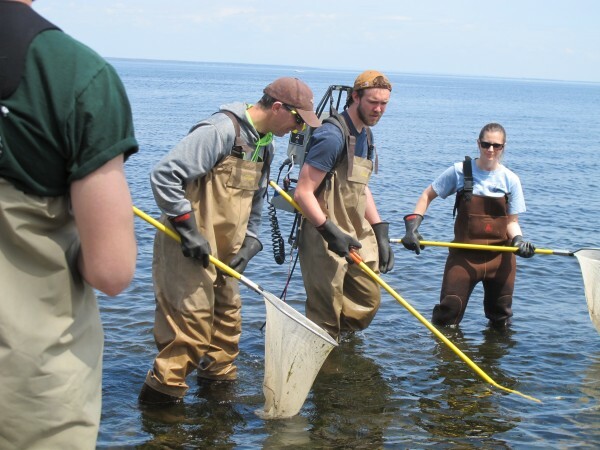 The research and instructional staff at Cornell Biological Field Station (CBFS) deserve high praise, as they were terrific hosts for this workshop. CBFS staff went above and beyond by working throughout the week before the workshop collecting a tremendous diversity of fish species and holding them happy and healthy in an enormous aquarium for the workshop participants to experience. In addition, CBFS Research Support Specialist Tom Brooking set up an informative display that featured Sturgeon For Tomorrow, a non-profit organizational effort to promote the continued protection, conservation and recovery of lake sturgeon in Oneida Lake and throughout New York State. All in all, these were great days out on the water!